You’d probably prefer not to think about your jewelry treasures being damaged, destroyed or lost during a catastrophe, but it’s important to be prepared. Whether you’ve spent years building your fine jewelry collection or you’ve recently acquired your first exquisite piece, you should insure each item to it’s value, just in case the unexpected happens. To do that properly, you must have your jewelry appraised for insurance purposes. We have a GIA graduate Gemologist on staff who does all of our appraisals. Each appraisal comes with pictures, full detailed description and insurance information. 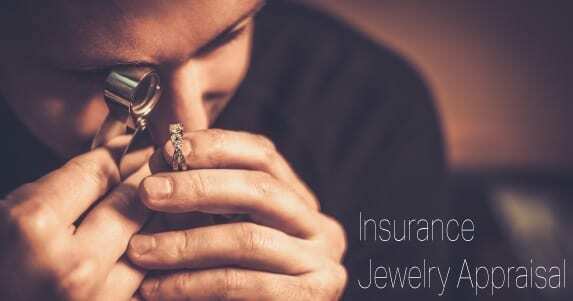 Insurance Jewelry Appraisals Cost $45.00 per item. Our Largo jewelry appraisers are here for you. Feel free to contact the Arnold Jewelers team for a jewelry insurance appraisal on your precious jewelry items. As a trusted jewelry appraisal company, we look forward to servicing your needs.